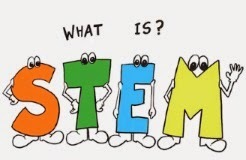 (Not endorsing the program per se, but this short introductory video gives the viewer some idea of how STEM can be addressed in elementary grades with engineering). Produced by Kim Fossey and Myles Taylor for the Texas High School Project. This middle school uses an "Artful Teaching" approach - an approach to teaching creative thinking routines like inquiry and reasoning to explore artistic works and subjects across the curriculum. Program has resulted in high math and reading scores as well as increased attendance.